A Grinder Node requires a 32/64 bit Windows system and Ruby 2.0 (Ruby 1.9 is also supported but you won't be able to fuzz 64-bit targets). Multi-user web application. 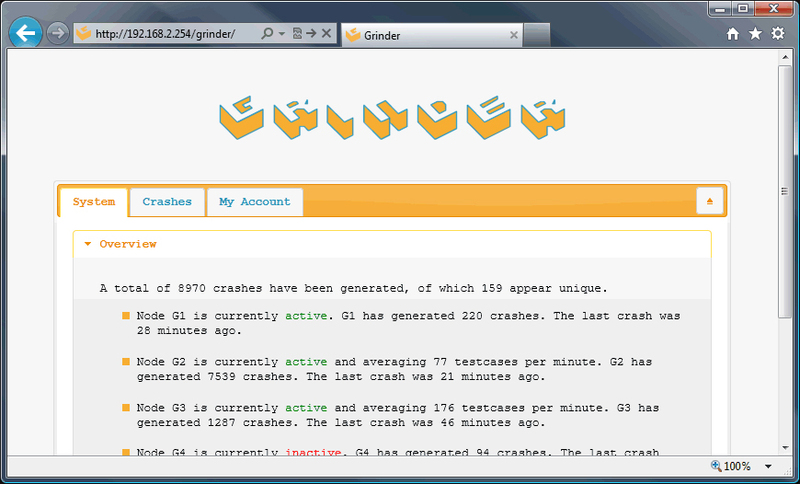 User can login and manage all crashes reported by the Grinder Nodes. Administrators can create more users and view the login history. Note: Grinder does not include any fuzzers for the Grinder Nodes and you will need to write your own. 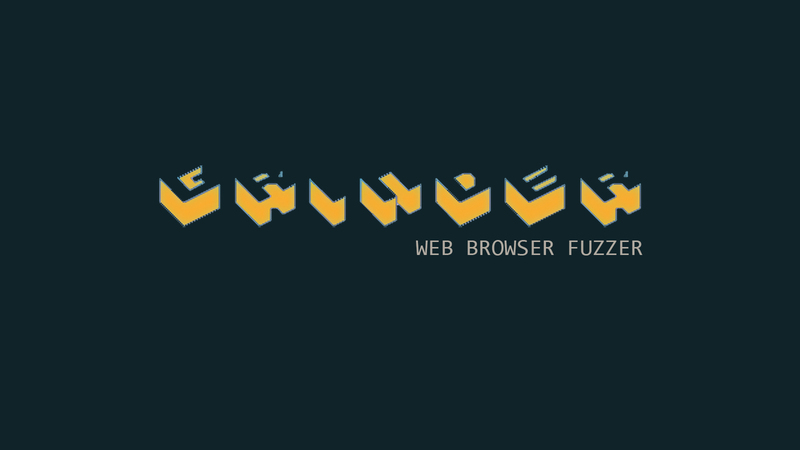 However, a very simple example fuzzer is included to show how to begin writing suitable fuzzers for use with Grinder. 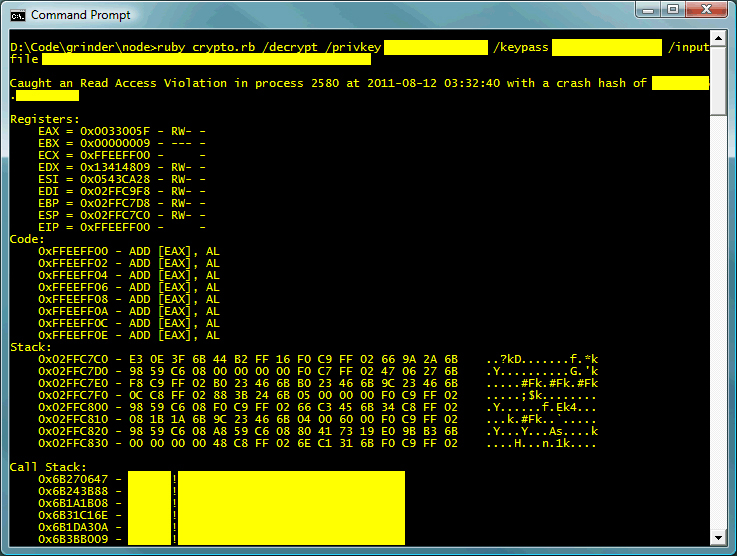 Copy the contents of .\grinder\server\ over the web server.